I had written this post 2 days ago and just when I wanted to publish it, somehow it got deleted! 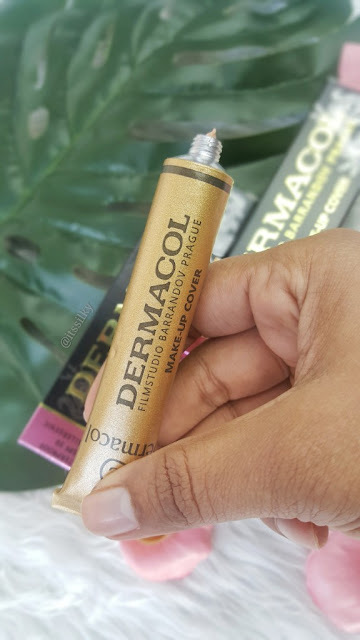 So this is the second version of my review for DERMACOL Makeup Cover Foundation. 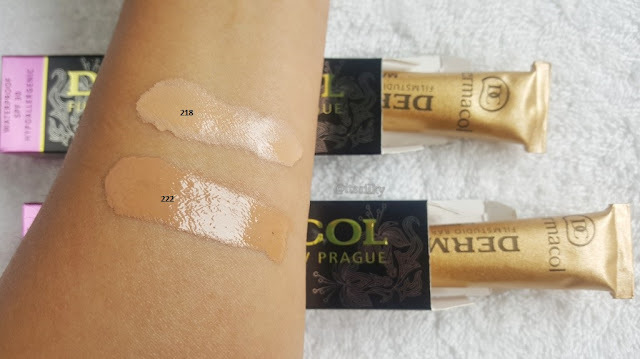 I had heard so much about this foundation (claiming to be an extreme coverage and long lasting one) that I had to try it myself. 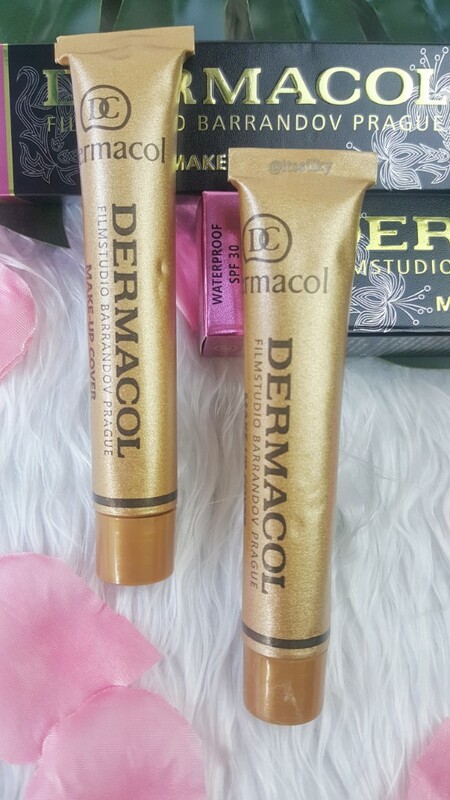 The foundation comes in a sparkling golden sealed tube. You need to use the cap (upside down) to drill a hole in the tube and the product is there! The foundation is quite creamy in texture but not thick at all. It applies beautifully with a brush or sponge or even with fingers. To my surprise, it gives a very similar finish with any of the applicators. 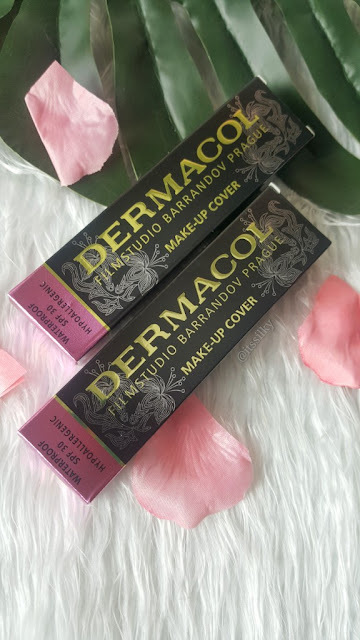 Dermacol is an Europe based brand and so the shade appear more on the pink/peach side. After going through a lot of videos and pictures I selected 2 shades i.e. 218 and 222 for myself. These are the only ones with a good yellow undertone. Coming to the pigmentation, the foundation provides an amazing coverage! I would not say it has an extreme coverage ( as it claims) but it is quite good. I do not see it hiding all my acne marks completely but it does provide an even coverage throughout my face. It can also be used around the eyes to cover my dark under eye area. I use shade 222 all over my face and 218 to highlight my under eyes and other areas. The texture of the foundation is lightweight and you need to use very little amount every time. It is quite buildable and does not feel cakey even after 2 or 3 times. However, because of the creamy texture, it tends to settle tiny bit on my smile lines after few hours of wear. So you need to use a good silicone primer under the foundation. I loved how long it lasted on my face! It was there for more than 8 hours after which I actually had to remove it myself. To sum up lets see the pros and the cons of the foundation! 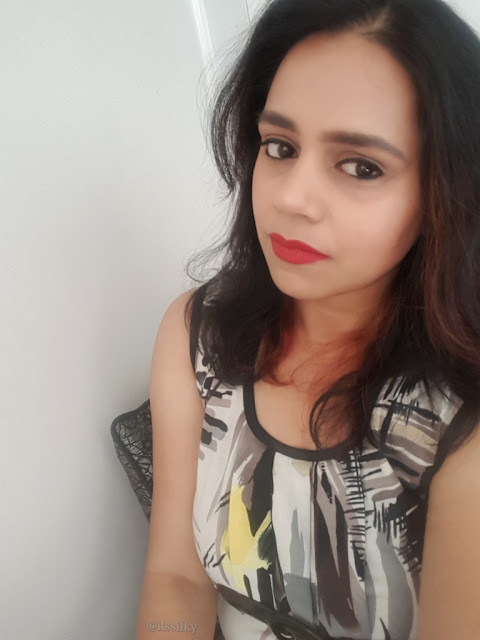 I am enjoying this foundation and have been using it regularly! Do let me know if you have tried it yet or planning to. The product you tested is a fake. The original make-up cover has the shade number written on the tube. Please be careful if using it, it can contain harmful substances. 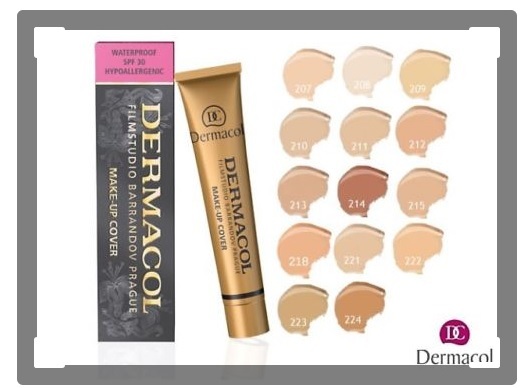 The list of our authorised dealers is on our webpage www.dermacolcosmetics.com.